Found one file extension association related to Static Windows Live Mail Backup and 1 file format developed specifically for use with Static Windows Live Mail Backup. Developer / company: StaticBackup Inc.
Windows Live Mail Backup is a powerful backup tool which can backup all your emails, settings from Windows Live Mail. The backup archive filename can be generated with timestamp automatically. Windows Live Mail Backup can compress your archive with high compress ratio. This backup tool also can encrypt your archive with password. 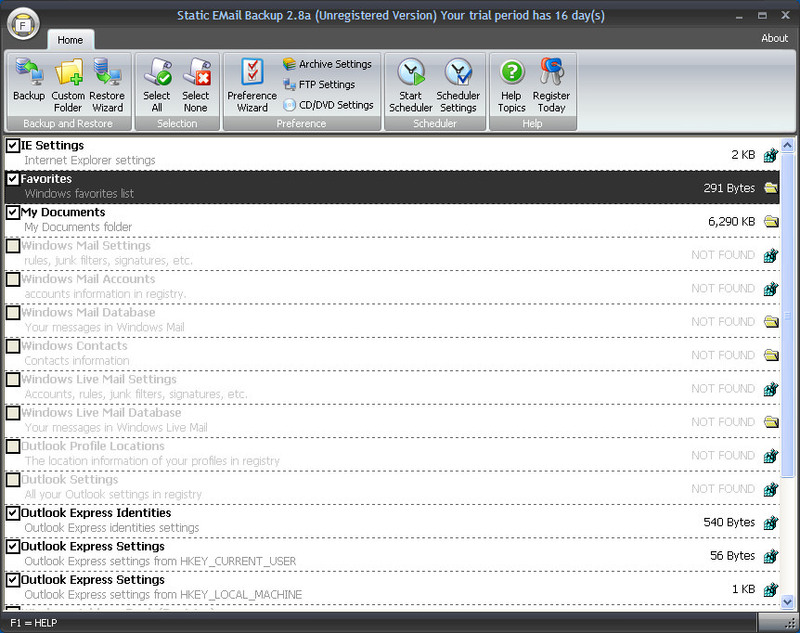 Windows Live Mail Backup has a scheduler, you can setup a time for your backup process. FTP uploader and CD/DVD burner have already built-in, you can upload your archive to FTP server or burn it on to CD/DVD writable device. If you need more information please contact the developers of Static Windows Live Mail Backup (StaticBackup Inc.), or check out their product website.